Melodic Chromatic Scales when going up is written different than from when going down. Melodic Chromatic Scales using a set (established) form of notes that are written once. Raise the notes ascending – try to switch to sharps as soon as possible, or use sharps whenever possible, to show an ascending pitch pattern. Lower the notes descending – try to switch to flats as soon as possible, or use flats whenever possible, to show a descending pitch pattern. Any letter name can be used twice in a row, but can never be used 3 times in a row when moving in the same direction. There will always be 5 letter names that are only used once in the ascending/descending Melodic Chromatic Scales. There is no pattern for which letter names are only used once. However, Melodic Chromatic Scales must start and end using the same letter name/note. Let’s work through an example of writing Melodic Chromatic Scales starting on E flat. Use your Ultimate Whiteboard or download the Free Resources Keyboard Staff Worksheets. UMT Tip: Write a keyboard at the top of the paper. As you ascend or descend by chromatic semitone, follow the pitch on the keyboard to ensure that you are not skipping any letter name. Step #1: Start on the given note of E flat. Continue ascending, step by step to the upper note of E flat. At the first black key, use a sharp. Continue using sharps as you ascend to E flat. Step #2: At the upper E flat, descend. At the first black key, use a flat. Continue using flats as you descend to the lower E flat. Alas, the rules are to try to use sharps ascending and to try to use flats descending. They do not say “thou shalt always and only use sharps ascending and flats descending”. Never skip a letter name. No letter name can be used more than twice in a row in either direction. There will always be 5 single notes – 5 notes that are not written twice. 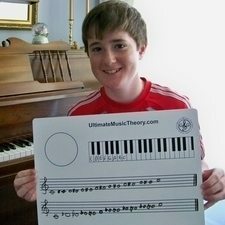 The key to marking a student’s melodic chromatic scales is to ensure that the scale pattern does not skip a letter name, that no letter name is used more than twice in a row and that there are 5 single notes. Isn’t it so much fun when there are so many different ways to write one scale? 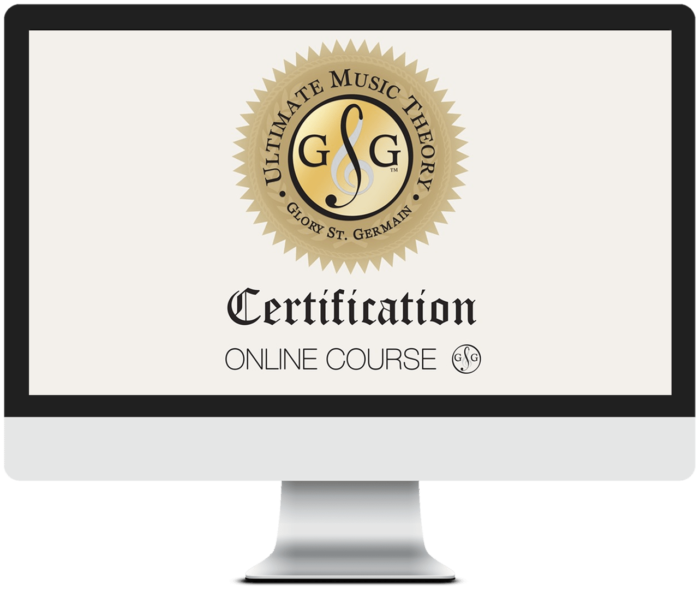 And guess what – there is one more way to write Melodic Minor Scales correctly. But that is for another Blog! Let’s have some fun – how many ways can you and your students write a Chromatic Scale without breaking any of the 3 Written in Stone Rules? Join the conversation below – tell us your starting note and how many versions of the Chromatic Scale you were able to correctly write! Let’s say I’m writing a chromatic scale starting on e flat, does the second note have to be f flat or it could be e natural? Excellent question! And the answer is that it can be f flat OR e natural. As long as you only have 2 notes in a row that use the same letter name, you can use any notes that work. Example 2 – your chromatic scale would be e flat, e natural, f, g flat…. The only thing that your chromatic scale can NOT be is e flat, e natural, e sharp…..